Identify A Self Help Product To Speed Up Your Evolution! Choose Which Tools Are Right For You! The self help product insights on this page reveal the true purpose and value behind many self-empowerment products. In addition, I remind you of the self-empowerment tools that we all already have that you can use to help you decide which product, if any, is right for you at this timing. My desire is that through these inspired insights and shortcuts you’ll have a firmer understanding of how and why a self-empowerment product or tool may serve you and you’ll be better prepared to select the tools that will assist with your self-actualization and evolution the most. Ultimately, no one else can really advise you which self help product is best for you or whether in fact you even need any external influence to assist you with moving harmoniously and happily forward with your life. Thus you’ll have to use your own discernment and common sense when choosing any particular product or tool. Self Help Product Insight – What Are These Tools? Know that this is the transformational age and that one way or another you will begin to awaken, that’s what you have chosen and it’s why you’re here at this time and in this space. At your own pace, you’re allowing yourself to remember more and more about who you really are. By using any tool that feels good to you, you’re giving yourself permission to unveil even more of the things which you’ve formerly kept hidden from yourself by the, sometimes unconscious, action of your mind. Remember that we live in a world of vibrational attraction, thus when a self-empowerment product or tool comes into your awareness the reason it excites you is because you attracted it to you. And thus deep down you know that by understanding it and using it you will receive great benefit from it. Therefore, when choosing a self help product realize that if any particular tool feels good and excites you it is a tool that will help you. On many pages of this website I make recommendations for such self-empowerment products and tools that I’ve used, but it’s always up to you to determine which ones are right for you by how you feel about them. Self Help Product Insight – Do I Need These Tools? 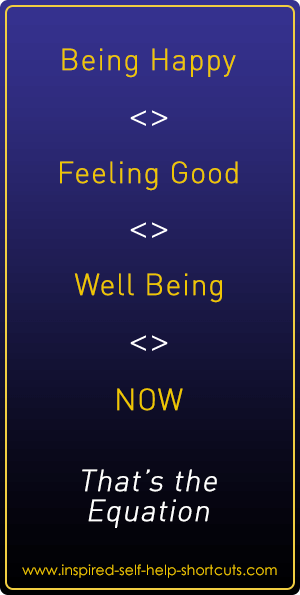 If in your day to day life you’re generally very happy and feeling good, you’re healthy and you’re living the abundant life you prefer then, obviously, you don’t need a self-empowerment product to help you to reach and to maintain that state of well-being. Self-empowerment tools can assist you to allow yourself to have, be and do all that you consider good, sooner rather than later. However, if you’re not there yet and you want to reach that place of being happy and feeling good in your daily life, which means optimum health, abundance and well-being, then it’s worth considering what a self-empowerment, self-actualization or self help product may have to offer you. There are many people who're creating self help products that can assist you in your quest for clarity, love, abundance and well-being. And providing that the creators of the tools are genuine and you feel attracted to their ideas then their products will definitely work for you! On many of the pages on this inspired website I suggest and recommend tools that can assist you. My personal guarantee to you is that every single one of the books, audios, videos, screensavers, courses, eBooks and other self help products that I recommend has at one time or another helped me. The tools I recommend have helped me with health, money, love and spiritual matters. And they have provided value in terms of enhancing my understanding of the nature of existence. Let’s say that you’ve already understood, and thus you believe that true financial abundance is definitely possible for you. Now, through the contrast of your life experience you decide that you’d prefer even more financial abundance. In reaching this conclusion you’ve already used your rational mind and the feelings of your heart to clarify what’s wanted. And now a new desire of wanting more has already, automatically, been created within you. Next, it’s helpful to visualize or imagine yourself as already experiencing your desired future, as already existing within it! Do whatever it takes to feel as you will feel once more financial abundance is present in your life. Notice any good-feeling intuition, inspiration or insight and act upon it. Always follow the nudges coming from your inner being or higher self. And finally, simply relax and enjoy every moment of your life as much as you can at this timing. Always do your best to ignore any worry and doubt that may surface within you. Only choose the thoughts that feel better, not worse, at each and every opportunity. Perhaps you’ll be directed to a bookshop and be attracted to a particular book. Or you might feel inspired to browse a certain website where you’ll find a self help product that feels good to you. Maybe a friend will invite you to a dinner party where you’ll meet someone who can help you in some way. We never really know how we’ll get to where we want to be, but we must have faith that we’ll get there, while allowing all events to unfold in perfect timing! For a thorough and detailed explanation of your emotional guidance system, I highly recommend getting a copy of 'The Astonishing Power of Emotions,' by Abraham-Hicks. Do You Believe That All Information Should Be Given Freely? Perhaps you’re currently holding a belief which says: "All spiritual and self help information should be given freely." If so, it's worth asking yourself if this belief is really serving you or if it's hindering you from progressing towards a more fulfilling, harmonious and joyful life experience? I've personally spent around US$ 5,000 on self-empowerment tools. Is your belief that you should not have to pay for someone else’s work holding some of the tools and information that you need away from you? While it’s true that absolutely all information exists now and can be summoned by anyone, if you didn’t bring it through into your reality then you might have to pay for the time of whoever did bring it through. Let’s talk about evolution. You might believe that evolution is a huge subject better left to scientists and academics. Forget about what those kinds of people say about evolution and the world for a minute and bring it closer to home, closer to who you're currently being. In its simplest term evolution simply means change. Today you are the person you wanted to be yesterday, you’ve evolved into that new person - that’s evolution! And if today you’re not the person you wanted to be yesterday, the only possible reason for it is your own resistance to your own idea of who you say you now want to be. Remember that the moment a desire is born within you, your higher self instantly, vibrationally, already becomes that new version of you. As I said earlier, no one actually needs any tools to wake up to the realization of who they really are and what life really is. However, we’ve immersed ourselves in so much limitation that we’ve forgotten the true nature of existence. By using a self help product tool that feels right to you, you’re giving yourself permission to begin the process of re-awakening and remembering the things that have been forgotten and which are laying buried deep inside of you. Giving yourself permission to use a self help product means you’re allowing this forgotten knowledge to surface within you in a more accelerated way. If some or all of the things I say on this inspired shortcuts website make sense and resonate with you, then you’ll love the Awakening Kit self help product that I’ve created. Please visit the self help software page for more information on how you can get that tool. You can read about how and why I created the Awakening Kit on this self help kit page. This selfhelp software page has support info for the kit. Finally, check out this complimentary self-empowement tool. 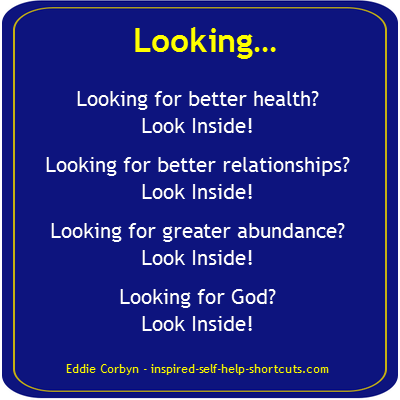 Click this image to get a FREE PDF document containing a very powerful list of Awareness Keys. Once the new window has opened up, you can read the document or save the file to your computer. Enjoy. As I develop this inspired self help shortcuts website further, I’m remembering more and more of the knowledge and truths that I’d previously forgotten. So in that sense, this website is a tool that I’ve created for myself. And I’m really pleased that many others are finding value and benefit from it too!